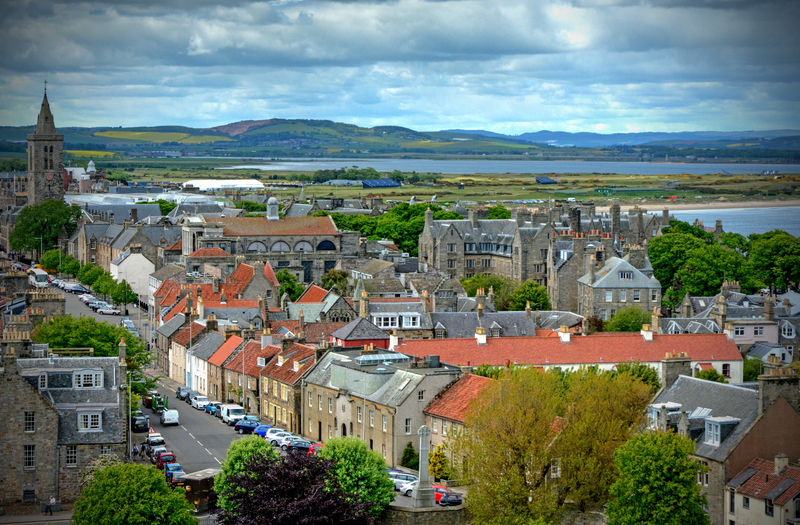 St Andrews has played its part in histories, old and new. From its Dark Ages origins to housing a probable King of England during his university years, this ancient city’s heritage is fascinating and deep. Golfers, royals, chefs, scholars and cardinals have lived, died and thrived in this royal burgh. As a result, it’s very easy to slip back in time exploring St Andrews. It’s a location where history peeks around every medieval corner and 19th century arch. 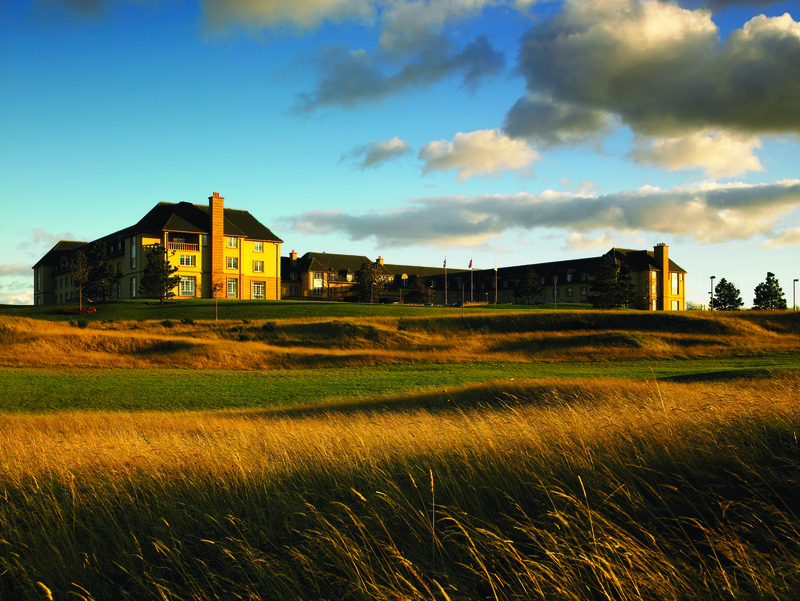 The 212-room Fairmont St Andrews was designed with this historic heritage in mind. The original owners looked to preserve the natural landscapes and stunning vistas in which the 520-acre, five-star resort sits. Decor features a nautical theme, elegant and natural, and the hotel is rich with amenities and points of interest, including George Singer’s 60-meter light installation "Zephyr." St Andrews' historic role as the birthplace of golf is also woven into the fabric of the hotel, from post-green spa treatments to stunning cliff-top course views. 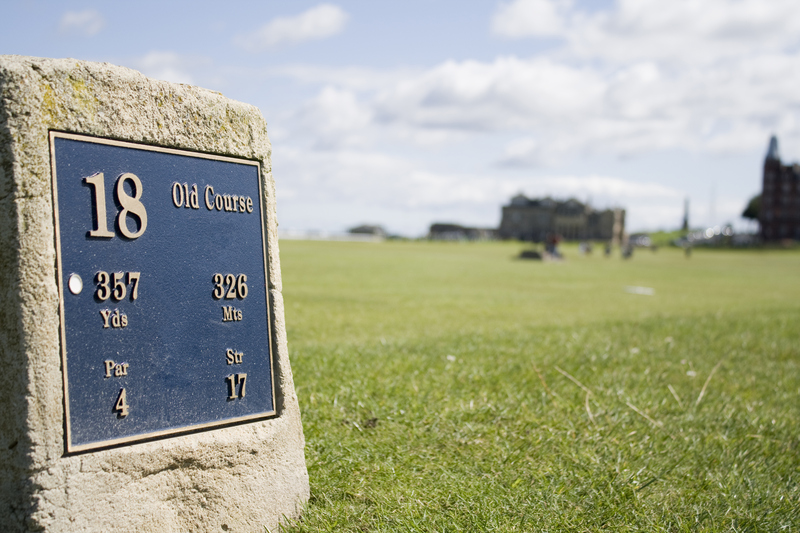 Golf is so popular in St Andrews it’s almost compulsory, and the sport has been played here since 1400AD. 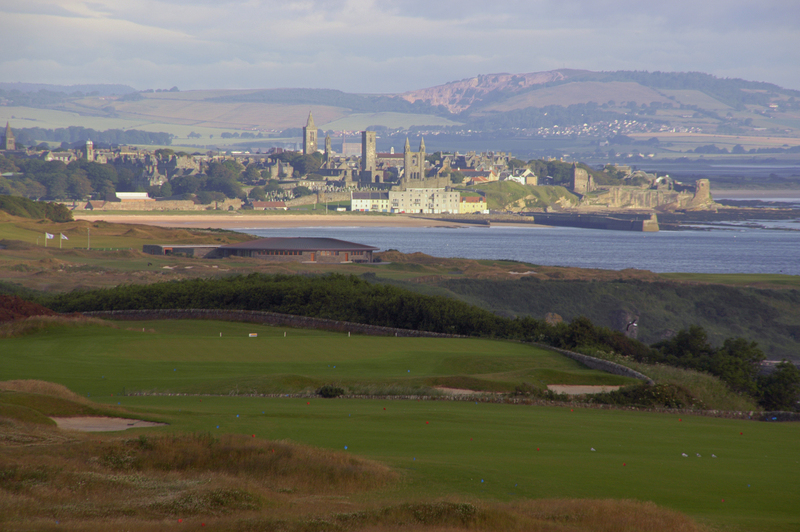 Seven public courses make this the largest public golf complex in Europe. Royal Troon’s Old Course lives up to its title as it is the world's oldest course, and the Swilken Bridge on the 18th hole, Craigend, is one of its most photographed spots. Here, golf celebrities, from Jack Nicklaus to Tom Watson and Nick Faldo, have come to have portraits taken and make farewell speeches. Off the green, Eden Mill is Scotland’s first combined brewery and distillery and offers tours and tastings of gin, craft beer or whisky. Although whisky might be the traditional tipple in Scotland, here gin is the insider’s tip, made from local ingredients including wild botanicals such as Sea Buckhorn. Eden Mill sits on the site of an original distillery owned by the legendary Haig family from 1810 until 1869. It was here at the Seggie Distillery that they produced their famous grain whisky. One of Scotland’s best-known clans, the Haig influence has loomed large in St Andrews through the centuries. In the 13th century, the poet Thomas the Rhymer predicted the longevity of this clan with the words “Tyde what may, what'er betyde, Haig shall be Haig of Bemersyde.” Proof the name still carries weight today comes from David Beckham, whose whisky brand "Haig Club" is created at the Haigs' Cameronbridge distillery, just a 30-minute drive from St Andrews. Perhaps the most famous Haig is Field Marshall Sir Douglas Haig, who commanded the British Expeditionary Force (BEF) on the Western Front during World War One. He was chancellor of St Andrews University from 1922-1928. You'll find a memorial to him in the northwest part of the University's David Russell Apartments and Fife Park hall. 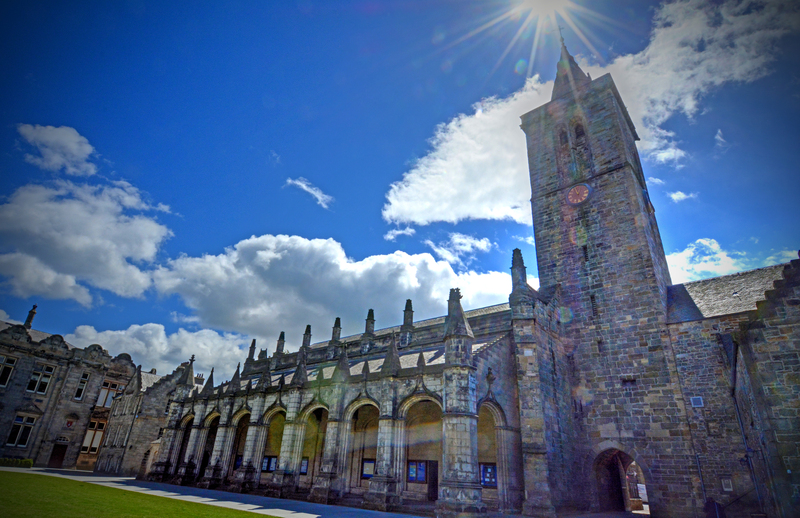 With its stunning medieval architecture, the University of St Andrews is one of the city’s most fascinating spots. The alumni list includes the likes of Helen Mirren, John Le Carre, the Dalai Lama and, of course, HRH Prince William. Part of the university’s most intriguing history is well hidden, but you can find it if you look. Browse the gardens for "Queen Mary’s Hawthorn," for example, reputedly planted there by Mary Queen of Scots. St Salvator's Chapel started it all, a rare 15th century church and the founding building of what would become one of the top universities in the world. The university also played a role in Scotland's turbulent history. Make your way to the cobbles under the bell tower and look for the initials "PH" scratched into the stone. These belong to Patrick Hamilton, burnt at the stake in 1528 for his Protestant beliefs. If you want to sample the tastes of modern student life at St Andrews, then the deep fried Mars Bar is a must-eat. However, heritage and natural abundance have produced many more complex and intriguing menus. These can be sampled at local food festivals, such as the Crail Food Festival, or by wandering the Lammas Market during August. It's the oldest surviving medieval street fair in the world. The St Andrew’s Bay lobster is one of the tastiest local catches. Enjoy it deliciously fresh, grilled with garlic and herb butter, at Forgan’s Restaurant. 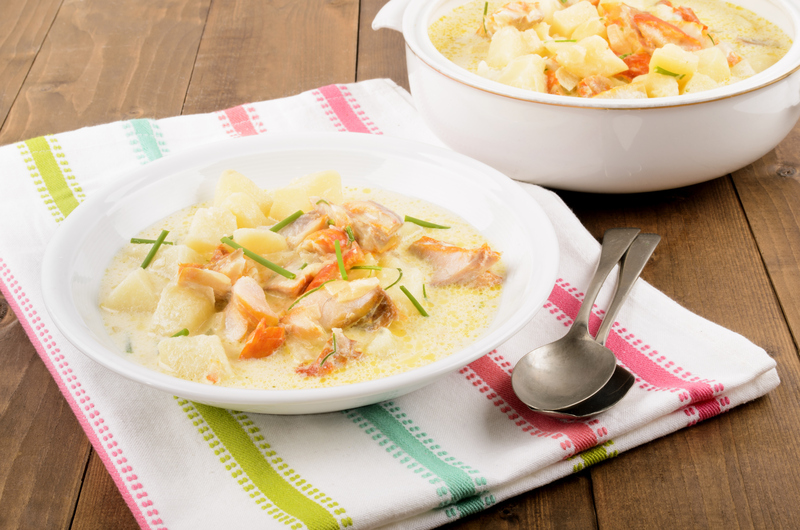 Don’t forget to try the Cullen Skink while you’re there, a thick warming soup of haddock, potatoes and onions, and one of Scotland’s heartiest ancient dishes. Forgan’s is a regular host of a ceilidh, a form of traditional Scottish dancing and one of the liveliest old Scottish customs. The music, stories and energetic dance moves and formations are an essential taste of St Andrews' heritage. For those who’ve never danced before, a caller is there to shout out the steps. If you happen to be in St Andrews on Burns Night (25th January) a ceilidh is a must. Burns Night celebrates the birthday of Scotland’s national poet, Robert Burns, and the ceilidh includes Burns' famous poem made song, "Auld Lang Syne," and the piping in of the haggis, a tradition where Scotland's national dish is held aloft and marched in accompanied by bagpipes. Perhaps the most historic part of St Andrews is its wild and beautiful coastline, an ancient presence long before the first stones of the city were laid. An iconic piece of recent history is found at West Sands Beach, where the opening sequence of the 1981 film Chariots of Fire was filmed. Make for Castle Sands for a beachfront view of the ruined St Andrews Castle. 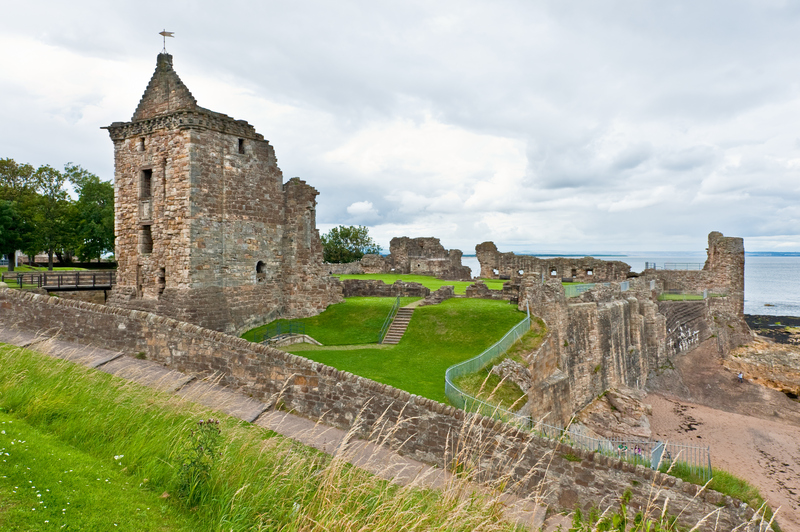 There has been a castle there since the 1100s, and the location is interwoven with Scotland’s history. You can view the bottle dungeon, one of the few remaining structures of the ruins. If you looking for more history and spots to capture cool photos, head out of St Andrews on one of the Fife Coastal Paths to explore the natural landscape and many historic spots. The St Andrews to Crail route takes you to Crail, one of the oldest of the East Neuk burghs (old Scottish towns) and a perfect stop for freshly caught fish and local chips. If you prefer to study the area's natural history away from the weather, then the Bell Pettigrew Natural History Museum, with its origins dating back to 1838, offers fascinating collections of objects of interest from the natural world amassed by the university’s Literary and Philosophical Society. It’s one of St Andrews' best-kept secrets. Alexandra Pett is a keen global wander of cities, ports, mountains and islands. She has extensive experience writing about luxury travel worldwide, from the misty peaks of Bali, to the elegant buzz of Le Marais in Paris.